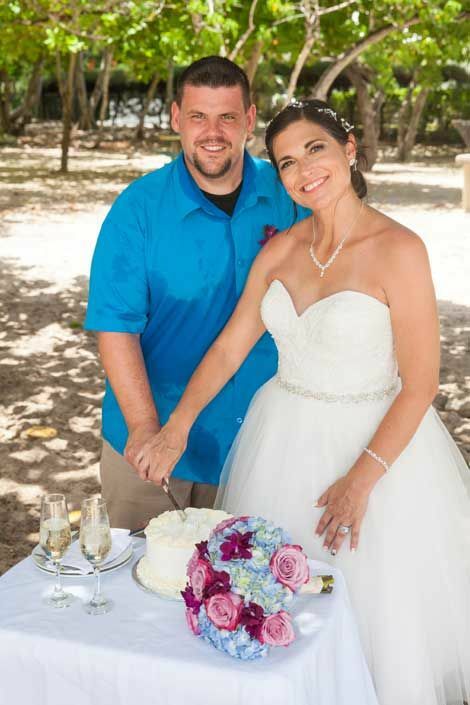 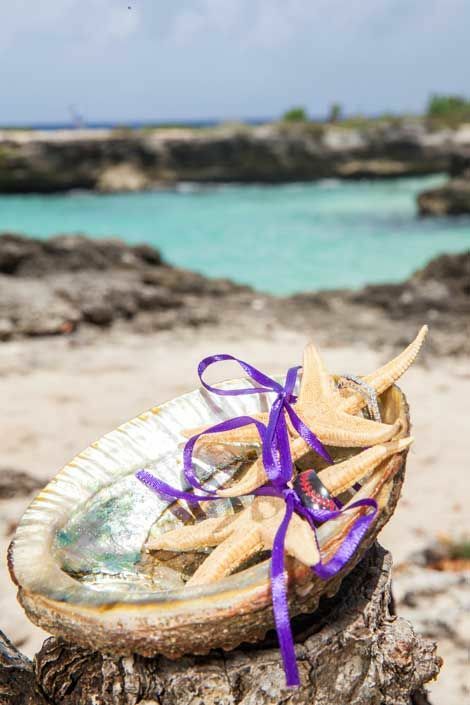 Standing barefoot in the sand and the blue ocean in the background, that was the perfect setting for the wedding of Selena & Jason. 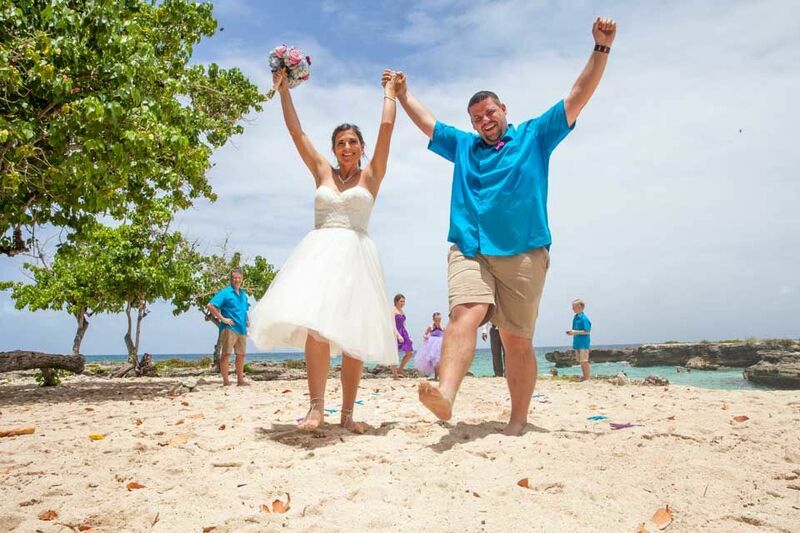 The couple choose the beach of Smiths Cove as Selena had made her mind up. 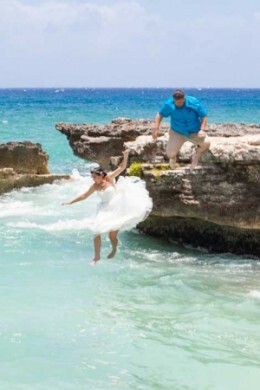 she wanted to trash the dress and jump of the rocks in the ocean; and so they did. 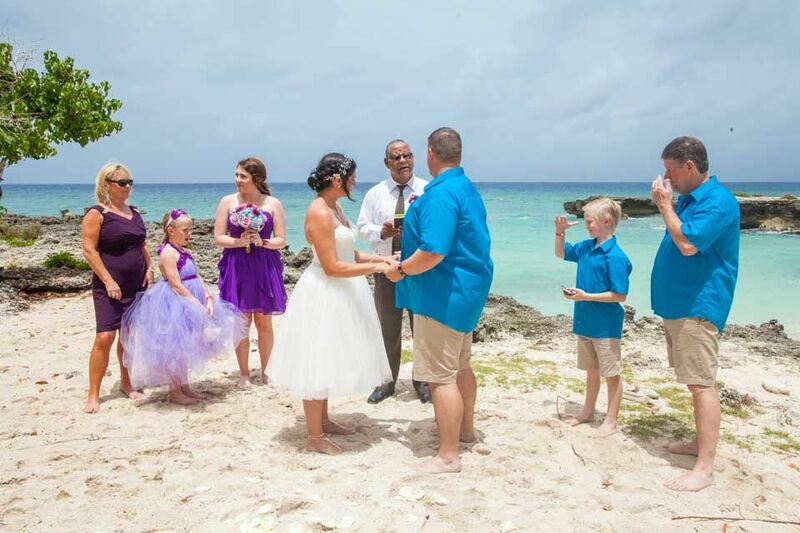 The guests followed them in the water for a refreshing swim. 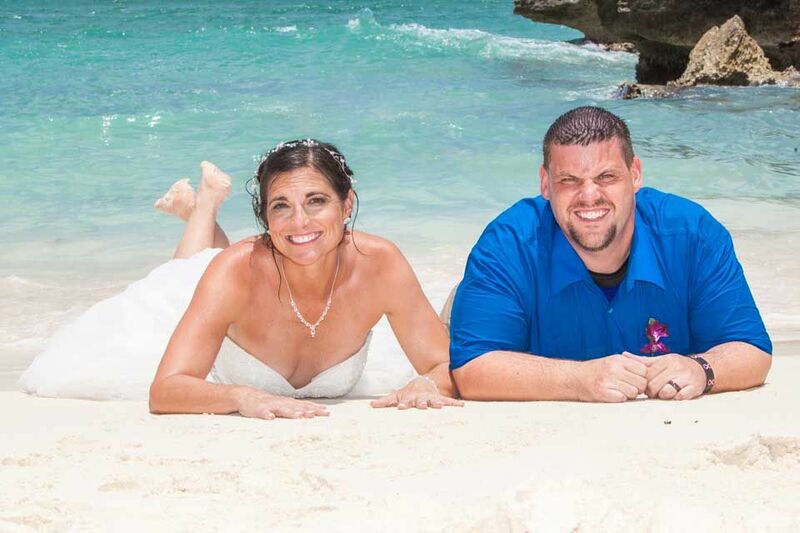 A great day with many fun wedding memories!